Beatriz Cardoso is the Executive Director of Laboratorio de Educacaao, an educational laboratory for innovation and applied knowledge development that fosters increase dialogue between professionals from different fields in order to increase the quality of education in Brazil. 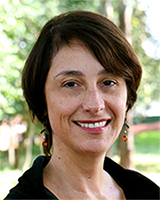 Beatriz has been engaged as an educator throughout her adult life, including as a Fellow specializing in Municipal Institut d’Educació of Barcelona, and as a professor on the Faculty of Education at the University of Sao Paulo responsible for the development of teacher training projects in municipal education systems such as the Osasco and Jundiaí municipalities in Sao Paulo. From 2007 to 2012 Beatriz served as the President of the Community Economic Development Assistance Corporation (CEDAC), she was a member of the Clinton Global Initiative, and she participated in international forums such as the Skoll World Forum on Social Entrepreneurship and the Harvard Advanced Leadership Initiative. In 2014 Beatriz was named Senior Ashoka Fellow. Ms. Cardoso received her PhD in Education from the University of São Paulo in 1978.